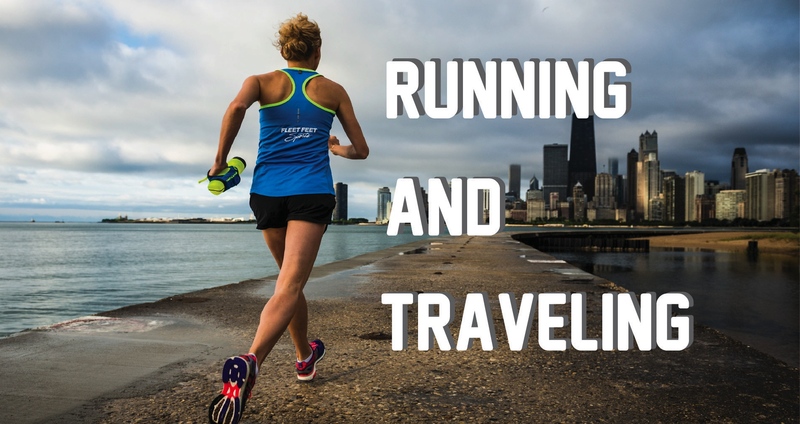 It’s hard to travel and train for that race that is coming up in a few weeks… Realistically, you can’t just take a week off from your training and hope to have a PR on that upcoming race. There has to be some movement and determination while you are relaxing at the beach or exploring a new city. Whether it is on the beach or in a city, try to plan out your runs and the routes before you get to your destination. Run early so you can have the rest of your day to relax! Look up running groups if you are going to a larger city. It will be much safer than running alone in an unfamiliar place. While you most certainly can try to run that 13-mile long run while on vacation, it may be a little less stressful to just get it over with before you leave home. That way you can do shorter distances and/or cross training throughout your vacation. It’s your vacation! No need to stress about getting in a long run! Either the gym in your hotel, the Pilates and yoga studio down the street, or the large weights gym in the town, there is bound to be a local fitness center close to where you are staying. Ask your hotel concierge if your hotel does not have a gym. Incorporate activities that can also double as cross-training! If you’re at the beach, try surfing or paddle boarding. In the city? Go for a guided bike ride to get your exercise and a tour. Never forget to take safety precautions. Do not run in potentially dangerous neighborhoods. Always carry your phone. Tell someone where you will be and how long you will be gone. Ask around for parks and running paths that are well-lit and off the busy roads.